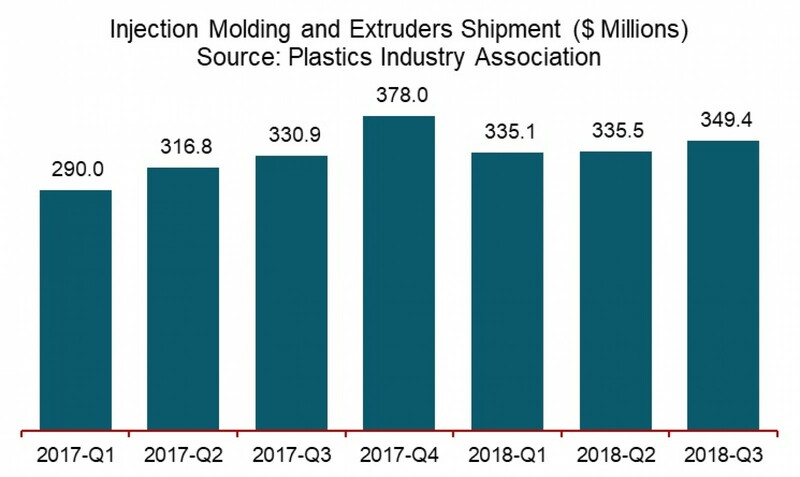 The plastics machinery shipments in North America continued to increase in the third quarter according to the statistics compiled and reported by the Plastics Industry Association’s (PLASTICS) Committee on Equipment Statistics (CES). “Except for soft auto and home sales numbers in the third quarter, the U.S. economy is still in expansionary mode - and that’s good news for plastics machinery manufacturing. While there are projections of moderate growth next year, it is expected that the U.S. economy will remain healthy,” said Pineda.